Calvary Church is located on the northeast side of Grand Rapids, Michigan, on the East Beltline and I-96. Our physical address is 707 East Beltline Ave. NE. Our front desk is open Monday through Friday, 8:30am to 5:00pm (summer hours: 8:00am-4:00pm). If you have an urgent concern at any time, there is always someone available. Call us at 616-956-9377 and leave a message. We gather for worship each Sunday at 9:00 & 10:45am in the Sanctuary. For individual staff emails, visit the Staff Listing Page. For general information, you may use . 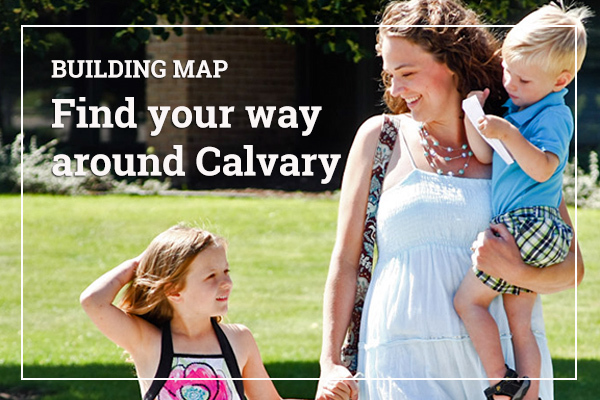 If you ride The Rapid bus line, the closest routes to get to Calvary are 14 and 15.